A very short project for MAGS JAN 2016. Your Kingdom is under threat from a mysterious plague! The Minister of War wants trouble! Will you become a man of the people as The Minister of Social Issues desires, or raise taxes to keep the treasury full? Meanwhile The Minister of Science needs funding for his heretical experiments, but the Church needs a new roof! Who will you support? Who will you anger? 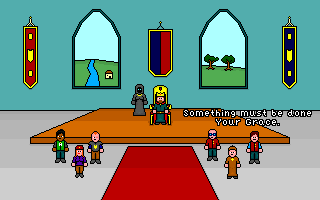 Oh, have I mentioned how funny this little medieval simulation is? 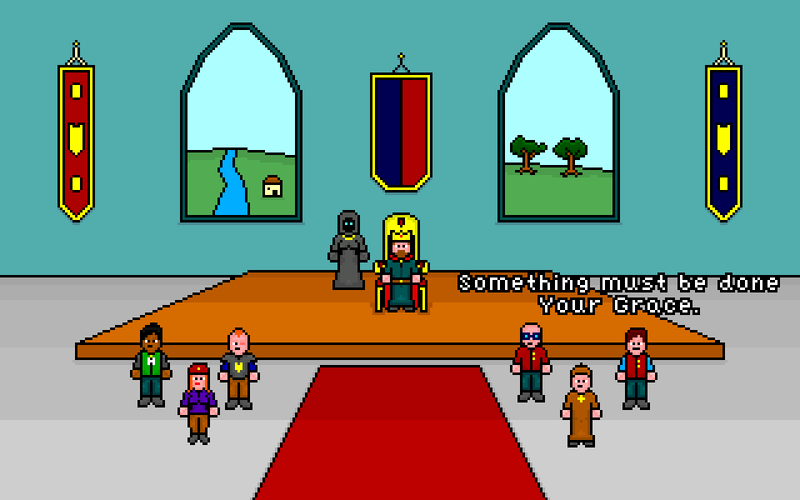 Set in a gritty, dark world like Game of Thrones, you reign your kingdom by making difficult political decisions. Actually, this is not as easy as you might think, and graphics could be a little more polished - but great humour and the impact of your orders to the world reward you. Playtime around 10-15 minutes. I want "Your Grace 2" !